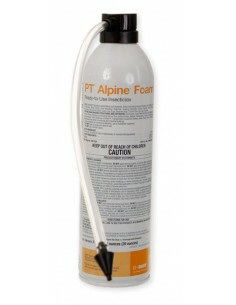 ePestSupply.com is the official online retailer of KM Ant Pro liquid bait dispensers since 2002! Over 300,000 Sold - 100% Money Back Guarantee! The KM Ant Pro Liquid Ant Bait System is approved by the United States Environmental Protection Agency (EPA), and is United States Department of Agriculture (USDA) National Organic Program Food Crop Compliant. Build your own army against ants! This patented and extremely effective liquid ant feeding station kills and gets rid of Argentine, Ghost, Crazy, White footed, Carpenter, Pharaoh and other exotic and invasive ants with ease! 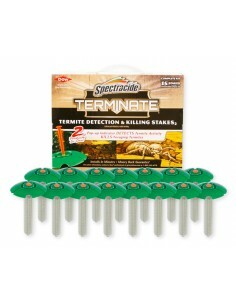 Also kills cockroaches and other insect pests. The KM Ant Pro dispenses a liquid bait (sold separately) that gives ants and insects what they want - a sweet nectar based food source that mimics honeydew secreted by aphids that is commonly found on plants and flowers. This bait also contains a mild toxin that is carried back to the queens and the colony. The KM Ant Pro Liquid Ant Bait System gives ants an unlimited supply of ant bait in a durable outdoor station that will last season after season. 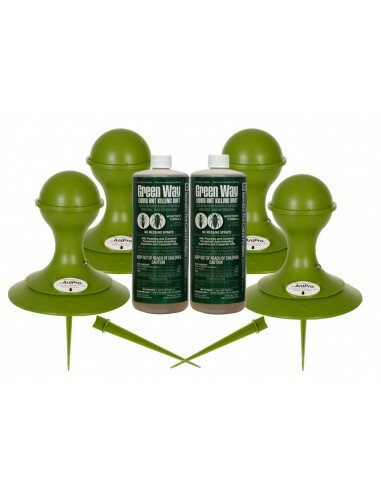 KM Ant Pro Liquid Bait dispensers placed around the home or building is like having your own natural defense against ants, eliminates the need for toxic sprays, is target specific and safe for the environment. The dispensers with Gourmet Liquid Ant Bait have been tested and endorsed by the University of California Statewide Extension and is recommended by California Master Gardeners to the general public. 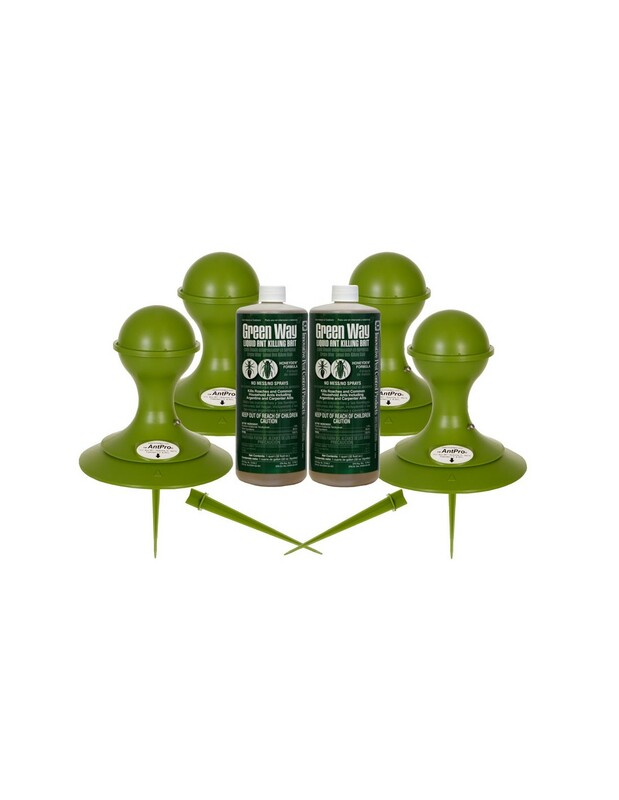 The KM Ant Pro Liquid Bait dispenser is a highly durable, rugged outdoor liquid ant bait station which provides consistent long term ant and insect control. The KM Ant Pro is refillable and will provide years of dependable service when maintained correctly. When the KM Ant Pro Liquid Ant Bait Dispenser is filled with liquid bait and activated, a small quantity of bait is released into a feeding pool at the base. As the ants consume the bait, the reservoir refills the feeding pool automatically. 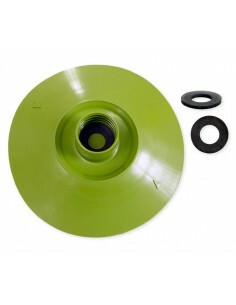 The KM Ant Pro Liquid Ant Bait feeding tray provides insects 360° access to the feeding pool. The vacuum gravity feed reservoir provides enough bait to feed several ant colonies over a long period of time. Also, numerous species of ants and insects will feed at the stations at the same time. 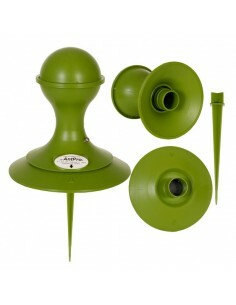 The KM Ant Pro Liquid Ant Bait Dispenser is weather tolerant and is also tamper resistant. It comes with an attachable stake that fits snugly on the base to secure it to the ground. In agricultural and garden applications, large areas can be treated with KM Ant Pro Liquid Ant Bait Stations without having to spread pesticides on crops and pastures where livestock live and graze. Orchards and harvesting areas are safer for workers and food is not contaminated by insecticides. In agricultural applications, the cost of control for imported fire ants, Argentine ants, white-footed ants and many other species of ants is significantly reduced. Simply place the KM Ant Pro Station where it is needed, next to plants and along crop rows and let it do its job. KM Ant Pro's will eliminate ants and other insects from around the premises, in gardens and other pesticide sensitive areas and provide a barrier to re-infestation. The KM Ant Pro Liquid Ant Bait stations will destroy ant colonies. Since these stations are exceptionally durable, can be refilled, and used over an extended period of time. The KM Ant Pro Ant Bait Dispenser combined with Gourmet Liquid Ant Bait is designed to replace ants' natural feeding sources. Ants will feed on plant juices, honeydew, insects, etc. from many outdoor sources. The recommended minimum number of KM Ant Pro stations is 1 per side of structure, or 1 station every 2500 square feet of open space. 4 KM Ant Pro stations are recommended for homes under 2,000 square feet, 6 KM Ant Pro stations for homes up to 4,000 square feet and 1 additional KM Ant Pro station for every 1,000 square feet thereafter. Build your own Ant Bait System! 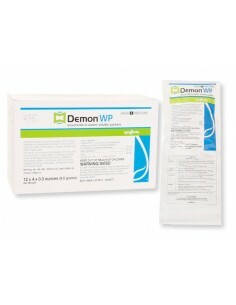 * (#1 Recommended) Medium size homes get the 4 + 2 pack kit. * Small Homes, apartments under 2,000 square feet - get the 4 + 2 Kit. * Large Homes and businesses over 2,000 square feet add 1 KM Ant Pro dispenser every 1,000 additional square feet. 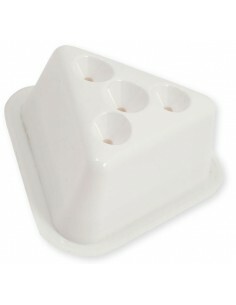 Place KM Ant Pro Stations under shrubs, near trees, in gardens and other areas where ants will normally feed. It is very important to place the stations in SHADED areas and not in direct sunlight. If no shade is available, then make a shaded area by using a large bucket or trash container and placing it over the station. Once feeding starts, control usually begins in 30 days. While holding the top unit (bulb) upside down, fill it 1/2 full (16 oz) with liquid bait, attach the base and hand tighten until snug. The KM Ant Pro is now in the closed position. Turn the entire station right side up, set in place, then rotate the bulb one half turn in the opposite direction while holding the base in place. This activates the unit. Tighten the set screw firmly. If desired, insert the holding stake into the bottom of the base. 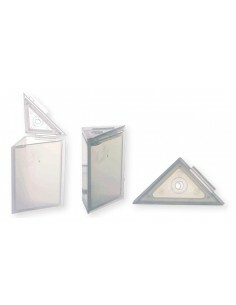 Place KM Ant Pro Liquid Ant Bait Kit anywhere in a shaded area that ants are active. Do not place units in direct sunlight. Do not install units where damage from animals, dogs or pets may occur. Do not use KM Ant Pro Liquid Ant Bait Kit indoors. 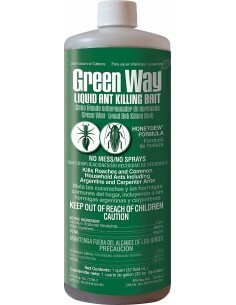 Replace liquid ant bait when KM Ant Pro Liquid Ant Bait Kit is empty or every 90 days, whichever comes first. Loosen the set screw and rotate the bulb back to the closed position. Turn the station upside down and unscrew the bulb. Replace the bait and repeat the steps for activation. Set the unit in the new location, turn it the opposite direction and align the arrows to re-activate. Tighten the set screw. The KM Ant Pro Liquid Ant Bait dispenser is designed to hold up to 1 quart of liquid ant bait. 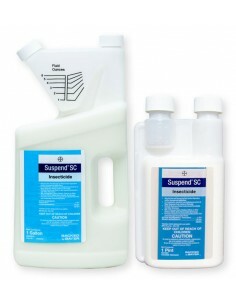 For most ant populations, using as little as 1 pint (16 oz) of liquid ant bait per dispenser is recommended. Studies show that 1 pint of liquid ant bait will feed up to 220,000 ants. Make sure that when you fill the KM Ant Pro stations, your hands are clean and there are no residues from gasoline, oil, cigarette smoke, etc. Replace the bait every 90 days for best results and long term control. Gourmet Liquid Ant Bait is the number 1 bait tested and recommended for use with the KM Ant Pro Liquid Ant Bait Dispensers. It is a food grade bait that contains natural enzymes, carbohydrates and ingredients that attract and recruit ants to feed. For best long term results, replace the Gourmet Liquid Ant Bait every 90 days. In late fall or winter, simply deactivate the stations and wash with regular tap water (no soap) and dry. 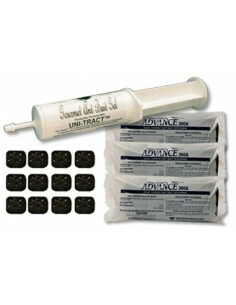 Replace the Gourmet Liquid Ant Bait and re-activate the KM Ant Pro stations in early spring for season long control. 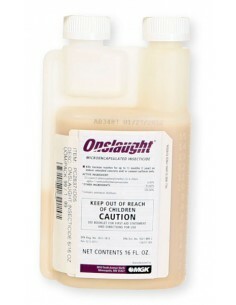 Be sure to replace the Gourmet Liquid Ant Bait (available in quarts and gallons) every 90 days.